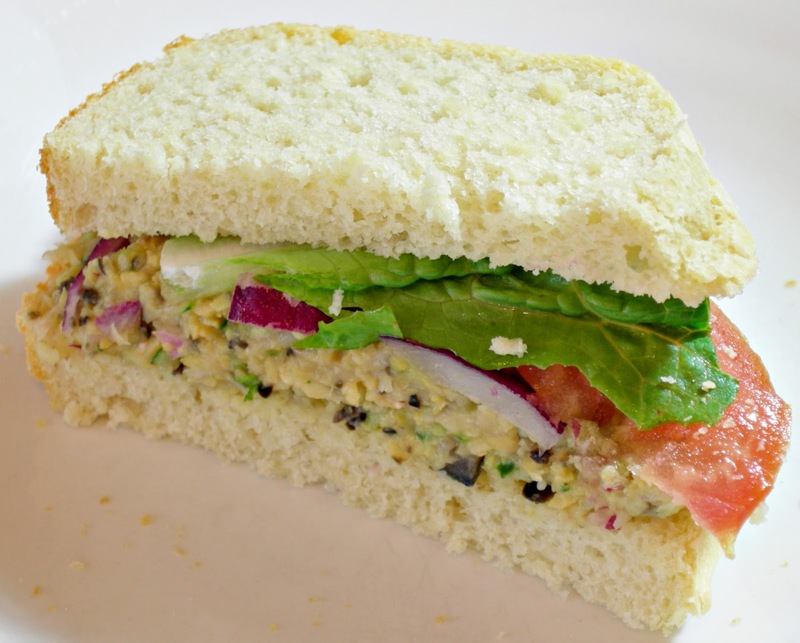 Are you a Vegetarian/Vegan who misses tuna salad? I can relate! Nothing can tempt me to my former way of eating like the tuna salad sandwich! (Okay, that and Turkey Hill's Double Dunker ice cream *yikes! *) Yet, I somehow resist. :) Maybe you do eat fish but you're looking for a change from the "same old". I came up with this yummy chickpea salad using whatever I had in my fridge. If you're hoping for something that tastes like a tuna salad sandwich, this isn't it. But it will give you a similar consistency. At least you'll feel like you're eating one. ;) It's a different taste, but delicious in its own right! 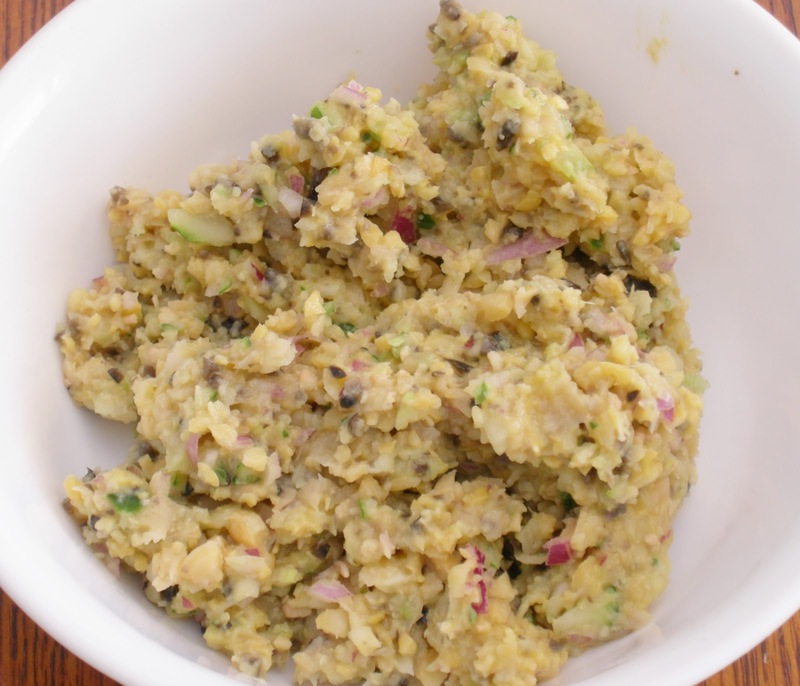 Place all ingredients except for lemon juice and mustard in food processor. *Pulse* until ingredients are finely chopped and well combined. Add lemon juice 1 tbsp at a time and pulse through. Place mixture in bowl, add mustard and mix with a spoon until combined. Enjoy on bread, in a wrap, with chips or by itself! *Pulsing the ingredients rather than fully processing them is important because you don't want everything to turn to mush. I had this mixture on a slice of my Basic Bread Machine Bread and it was delicious! I topped it with some lettuce, tomato and onions. I wanted to keep eating more.....!